With the summer heat upon us, my baking is sporadic. It has been in the mid to high 90’s for a few days, and surprisingly humid. We are southern California (reclaimed desert), not tidewater Virginia! 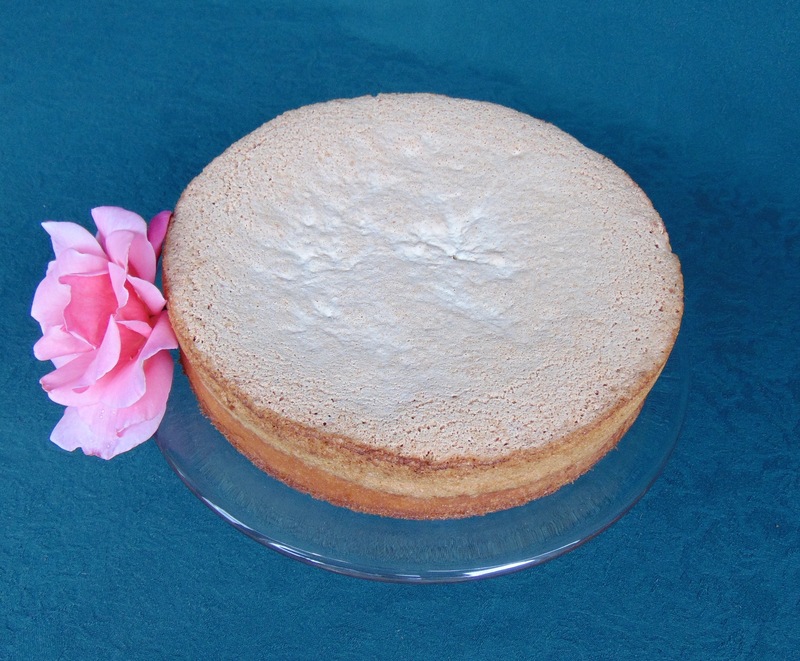 From Elizabeth Raffold’s book, The Experienced English Housekeeper (1776) I found a recipe that sounded light and just right for hot weather… “To make a Lemon Cake a second way”. BEAT the whites of ten eggs with a whisk for one hour with three spoonfuls of rose or orange-flower water, then put in one pound of loaf sugar beat and sifted, with the yellow rind of a lemon grated into it; when it is well mixed put in the juice of half a lemon and the yolks of ten eggs beat smooth, and just before you put it into the oven stir in three quarters of a pound of flour; butter your pan, and one hour will bake it in a moderate oven. The result was quite tasty and pretty. This entry was posted in 18th Century Food and tagged Rose Book. Bookmark the permalink. This looks amazing! My son Kevin made a similar lemon dessert recently (no roses involved, but still tasty) but it wasn’t quite so pretty. More practice. To the printer it goes! The first draft of my book is in. Now a word about Ice Cream! The 33rd Regiment of Foot, Inc.